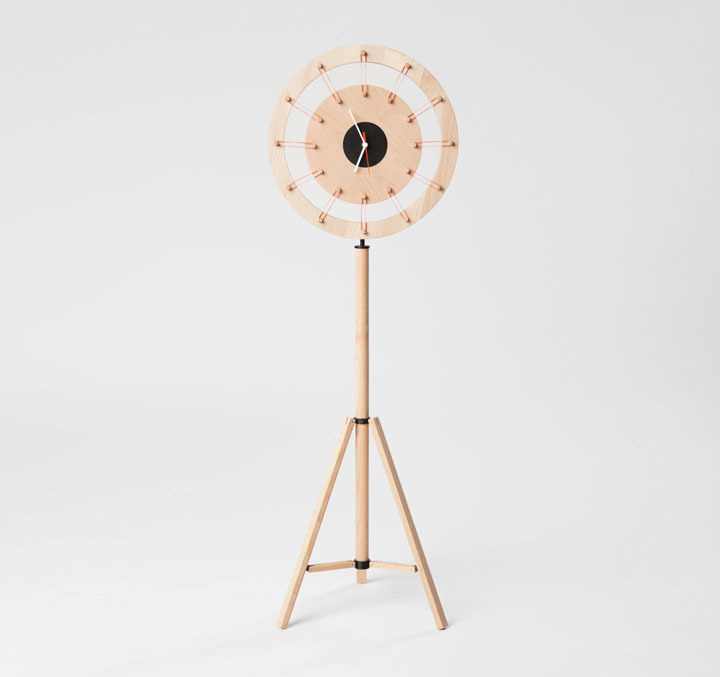 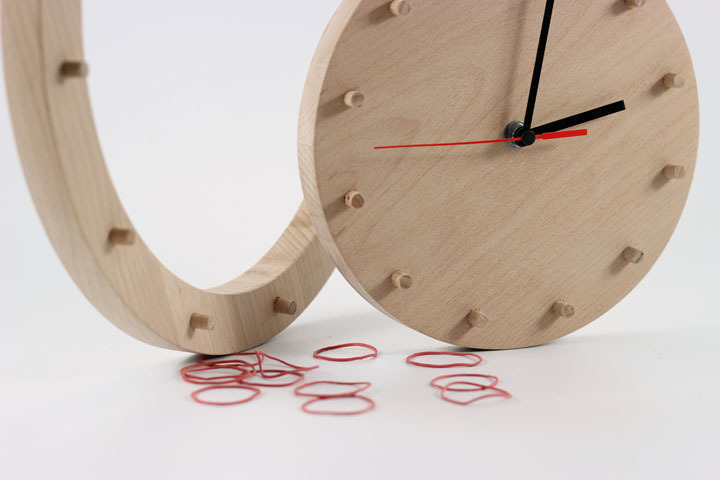 The clock, which is part of the set, invites the user to play and construct it after purchasing. 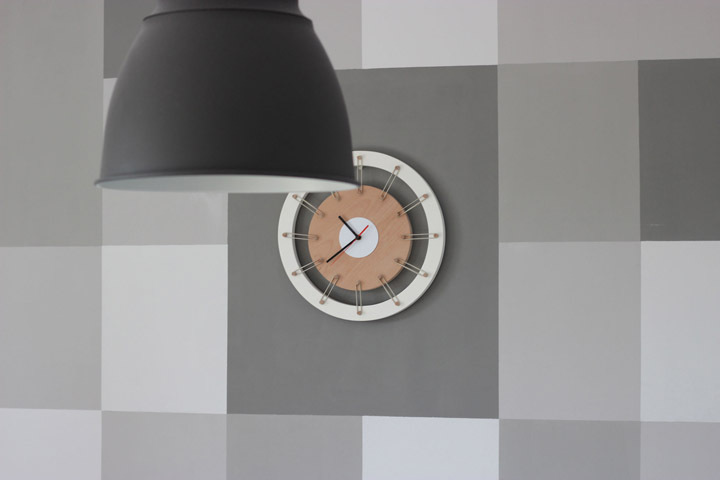 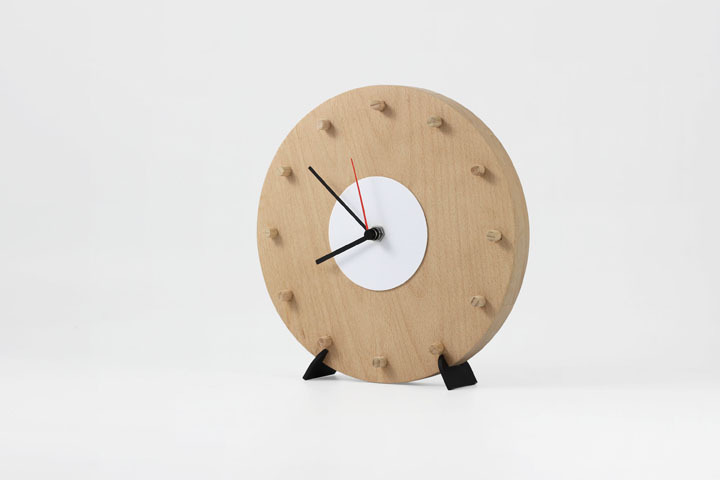 It consists of two elements: outer ring and an interior clock face. 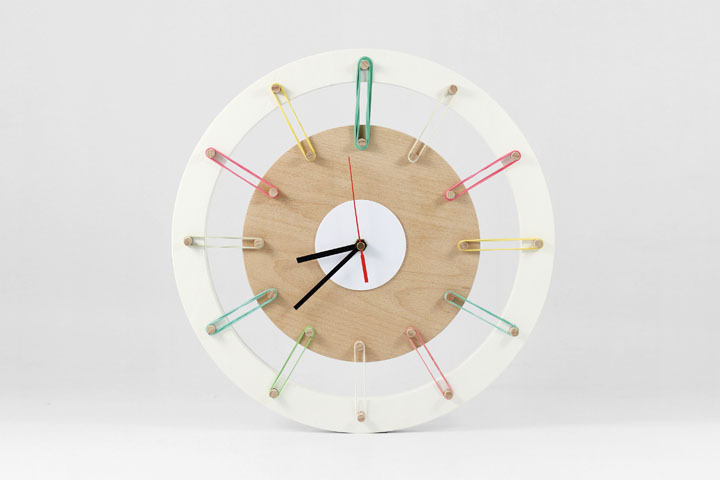 They are joined with 12 rubber bands that spread radially from the centre and are fastened to small pins which function as “numbers” on the clock face.